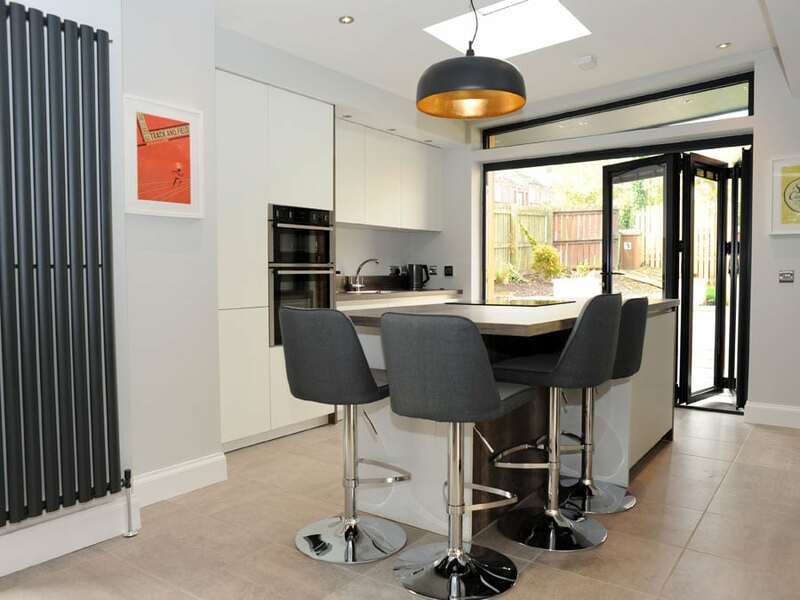 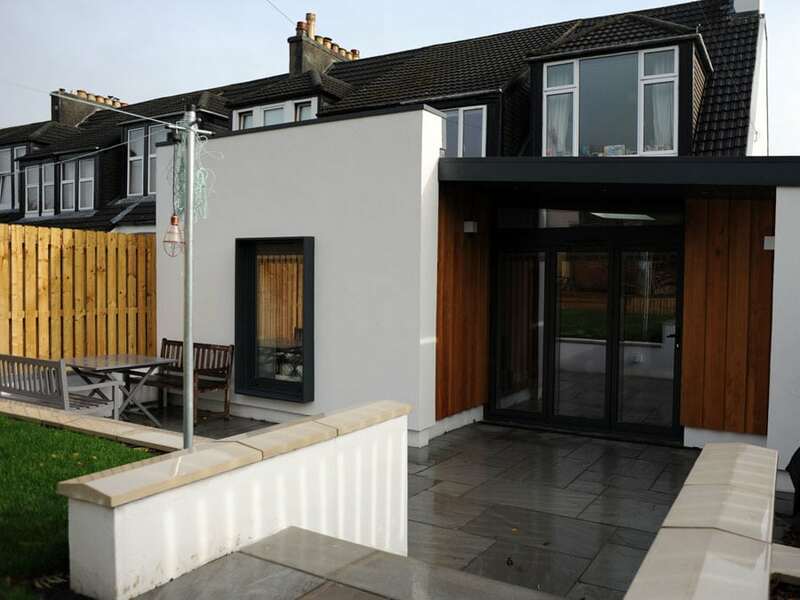 This impressive house extension consisted of a new open plan living area to the rear of the property providing the client with a new shower room, sitting room & bedroom with an elegant sliding door to close off the kitchen when needed. 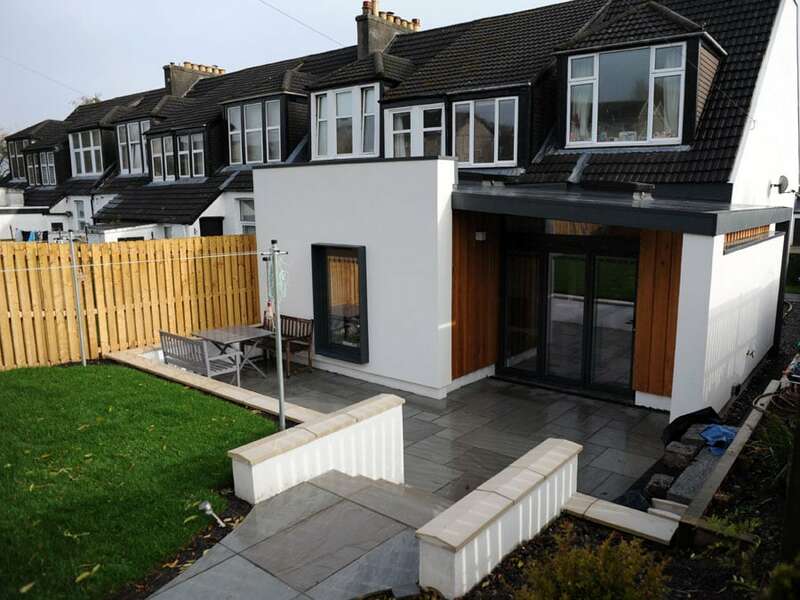 The back elevation was opened up to create a kitchen & dining area with walkway to garden. 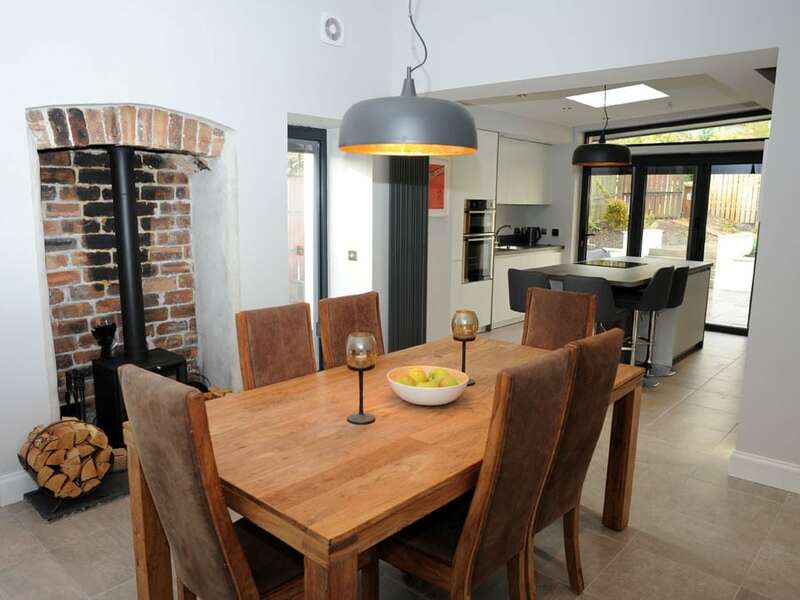 A remote controlled Velux roof light finished off this high end project with great design by the architect.